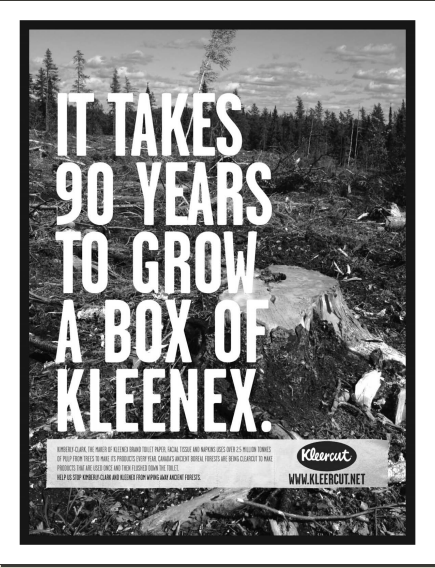 Kleercut was a campaign implemented by Greenpeace to end the use of virgin wood fibre in Kimberly-Clark products. CiviCRM software was used to collect contact information from people who visited the Kleercut website and send them email alerts to take further action, such as sending targeted emails to Kimberly-Clark shareholders or to take part in direct action near them. In August 2009, the Kleercut campaign was successful. Kimberly-Clark agreed to introduce standards for fibre content in its products.